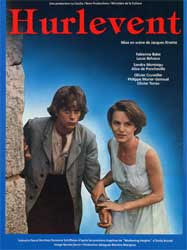 At 9 pm on 26 January several Brussels Brontë Group members braved the cold to see Jacques Rivette's Hurlevent (1985) at the Cinematek (Film Museum). Renate Hurtmanns wrote the impressions below (translated into English by Sherry Vosburgh). Many thanks to Franklin for letting us know the film was showing. This was a faithful adaptation of the first part of Wuthering Heights, set in the 1930s in Haute-Provence - which in its way is just as wild and convincing as the Yorkshire moors and an excellent background for the violent and dramatic emotions of the main characters. Fabienne Babe was impressive as a more modern but utterly credible Catherine. Only the women kept their original names (Catherine, Isabelle and Nelly) - the male characters (except for Joseph) were given French first names. The only minus point to my mind was Heathcliff (Roch in the film), who didn't really correspond to his gypsy image as described by Emily Bronte and as imagined by us when reading the book - either physically (blond) or by his rather wooden acting, which was not passionate enough. The pale and weak side of Edgar Linton (called Olivier in the film) was perhaps a little exaggerated by the actor playing that role. But apart from these negative comments, we had two hours of excellent cinema which was very original compared with the other classical adaptations of Wuthering Heights. It was worth the trip late at night in the freezing Brussels cold. I think you missed something! I recently finished reading this book, which took my interest due to the reference to Branwell Brontë. The book relates to part of the life of Daphne du Maurier, more specifically the period 1957-1960 when she was doing research for her book on Branwell Brontë The Infernal World of Branwell Brontë. Daphne became fascinated by Branwell Brontë and started a correspondence with J. A Symington. The book is fiction but is based on a true story. 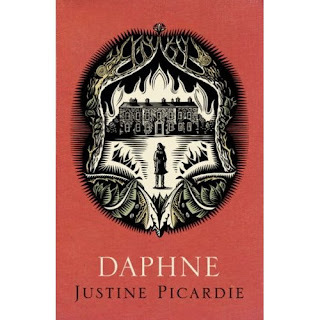 It tells Daphne’s story during that period on the one hand, the story of Symington who replies to Daphne’s letters on the other hand, but also the story of a young woman in present-day London who also became fascinated by this correspondence and was trying to write a dissertation on du Maurier and the Brontës but was struggling with it. The structure of the book seems at first strange, but once you get to know the characters involved, it becomes easy to read and as a reader you are drawn into these three different sides of the story. I liked the book very much and I think all Brontë and du Maurier fans will also like reading it.